So naughty but so nice. I made this recipe a few weekends ago when I was needing some cheering up. I just happened to have these ingredients laying around and thought to mix them all up- Voila! A sweet treat perfect for the season and it also worked in cheering me up. Enjoy! 1. Open and pour the two cans of coconut milk into a mixing bowl, pour in the package of Pumpkin Ice Cream starter and whisk until it feels like the mix has dissolved. Refrigerate this mixture in until completely chilled. 2. 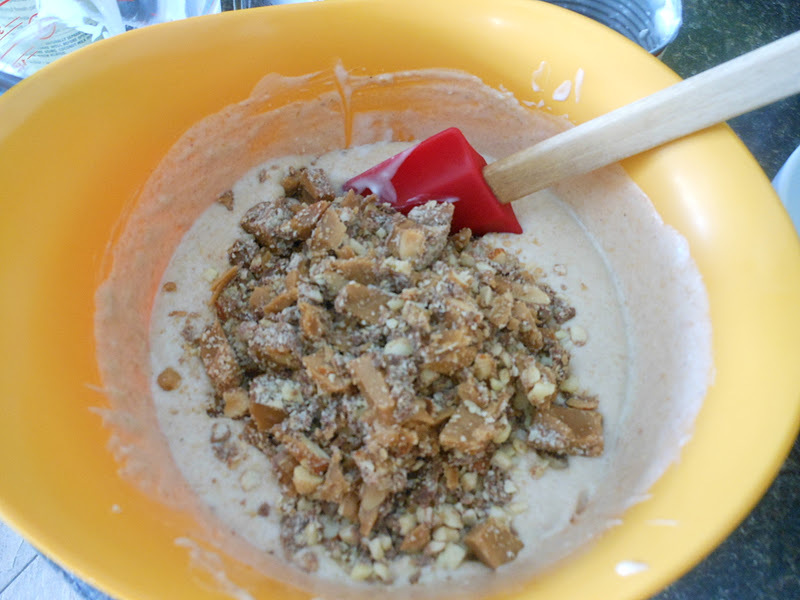 After the mixture has chilled (maybe 2 hours) take out of the fridge and mix in the toffee. 3. 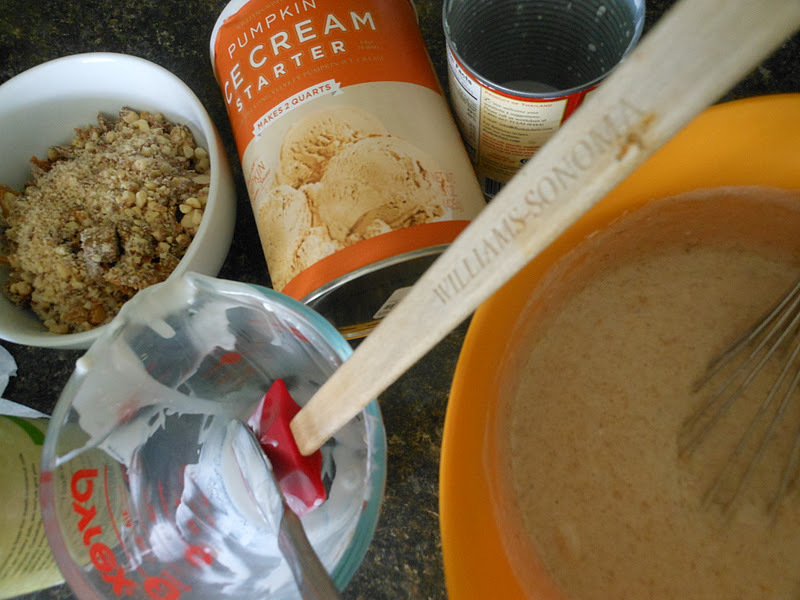 Pour the coconut pumpkin toffee mixture into your ice cream maker and freeze according to manufacturer directions. I think I processed mine for 20-25 minutes. 4. Pour into freezer safe containers and freeze for at least one hour before serving.